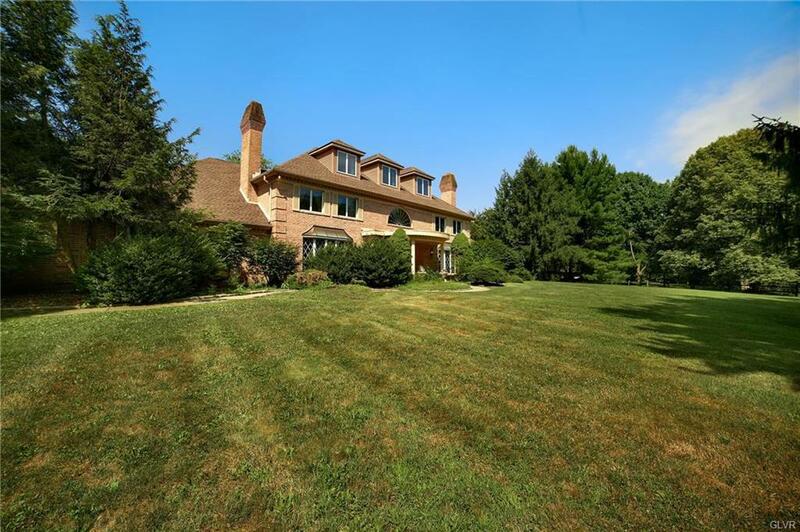 Welcome to this peaceful haven nestled on almost three acres of land in Allentown! This home sits well off the road tucked away on a recently paved private lane. Enter through the solid wood double doors into the breathtaking foyer with its marble flooring. A formal living and dining room greet you on each side, both with fireplaces. The spacious kitchen, granite counters with a peninsula island opens to the breakfast area. Huge great room with gorgeous hardwood floors and features the third fireplace. Private office and a second first-floor family room are perfectly suitable for conversion into an in-law suite. 7 total bedrooms and 4 full bath make up the 2nd and 3rd floors. Enjoy a peaceful evening on the private rear patio or in the gazebo which is adjacent to both the pool and fenced in play yard. If you need space, this home has it! Minutes to Lehigh Valley Health Network and Lehigh Valley Country Club. Conveniently located to 29, 309, 22, & 78, schools, and shopping. Cross Street Address Minesite Rd.